Included in this post are two tutorial pages for making some basic shapes, the square and the equilateral triangle. Since so many book and paper projects begin with squares, being able to make a square, without having to measure with rulers, is a great skill to be fluent with. When my son was about 5 years old, he would see me make squares as in Method 1 above. I didn’t realize how carefully he was watching until he started doing it by himself. Now, inspired by my son, when time allows, I will show students as young as 5 years old how to make the square from the rectangle. 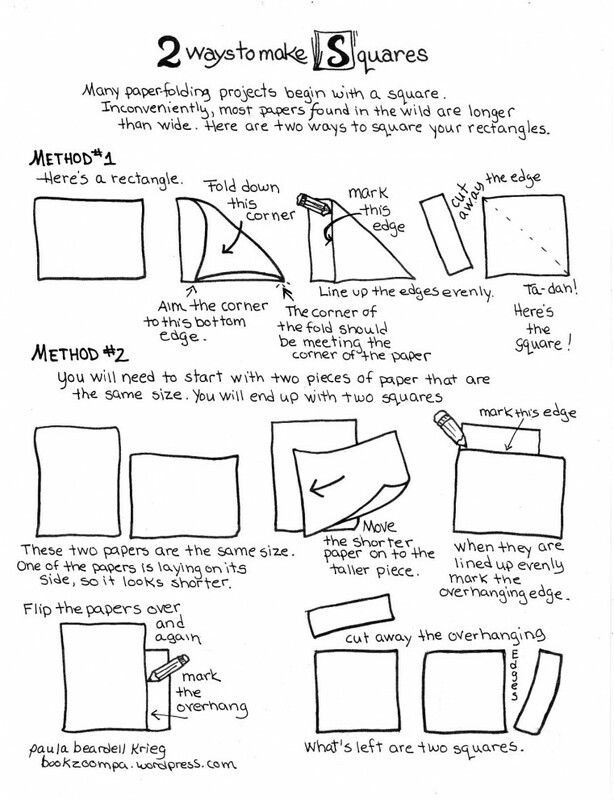 It gives students a great deal of power, to be able to make their own squares for their projects. Origami loves squares, as do snowflakes. Snowflakes also love 60 degree triangles. 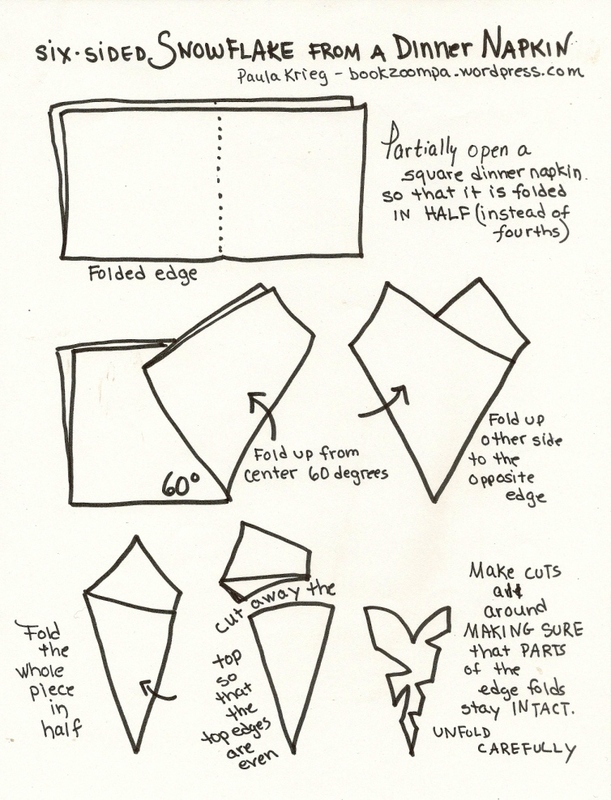 If you want to make a six-sided paper snowflake, start with a square, fold it in half, then fold the half in thirds. To fold the half into thirds, it’s great to have a 60 degree angle nearby to use as a folding template. Take a look at my snowflakes tutorial to see what I mean. 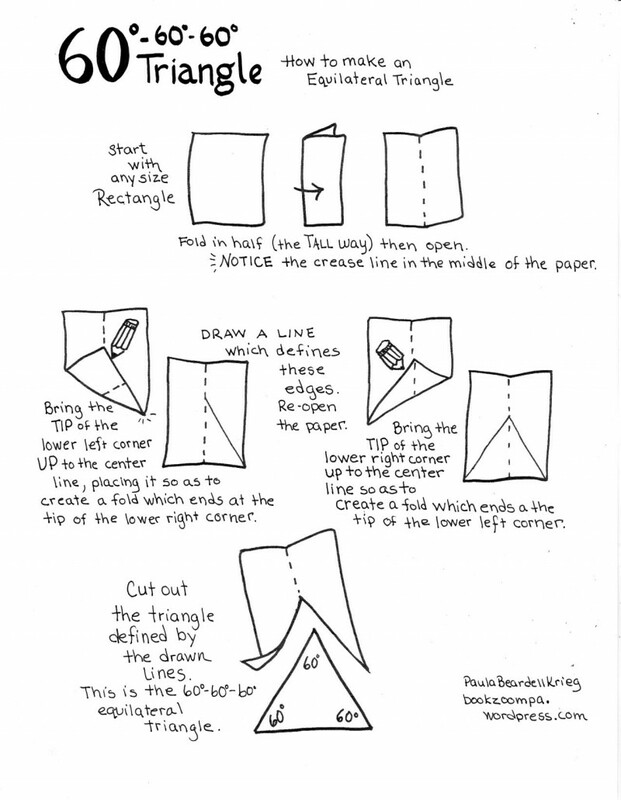 Paper-folding your way to an Equilateral Triangle. Comes in handy when making snowflakes. Now, I’ve going to do something experimental here. I am just starting to figure out how to do EPUB booklets, and I’ve made one that includes all four of my tutorial pages the revolve around snowflaking. My first choice would be to embed it in this post for anyone to download, but I haven’t figured out how to do that yet, and I think I am done trying to figure think out this evening. However, I would really like to share my first EPUB with anyone who asks for it (ask below in the comments box). For a preview of what you will get, here it is in PDF format Snowflakes! PDF . 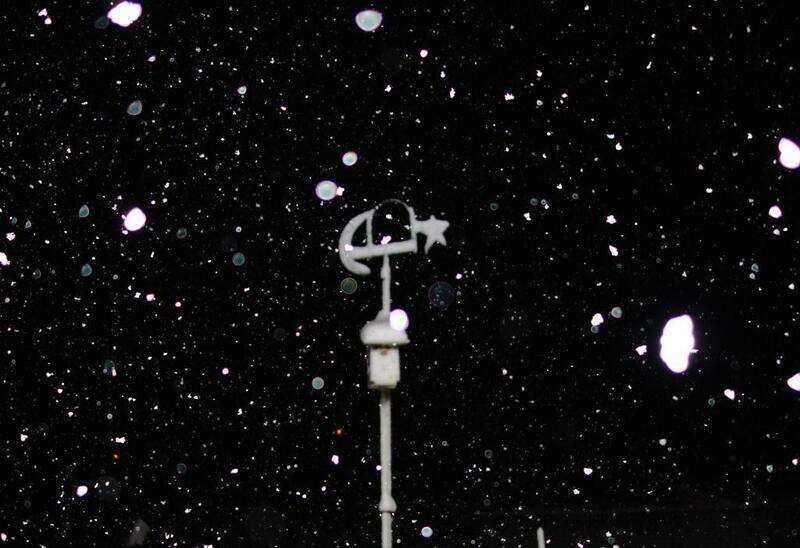 I do have to say that it does feel a bit redundant trying to make snowflakes when there seems to be, at the moment, an overabundance of them in the air. Maybe school will be cancelled again tomorrow! The pdf looks beautiful! I followed your directions for the equilateral triangle, too. It works great and was very easy to do. I would have never thought of it on my own. Thank you for sharing with us! I’m glad that you did a test drive with those directions, and that it worked out well. I find it to be so satisfying that it is just that easy to make a triangle with three equal sides. There’s some more symmetry here: even before I read your note I had decided that today will be the day that I sit down with one of your puzzles and figure out what’s going on with them, and try to solve one. I love what you’ve been doing with the graphics, they’ve drawn me in.